CSA stands for Community-Supported Agriculture. 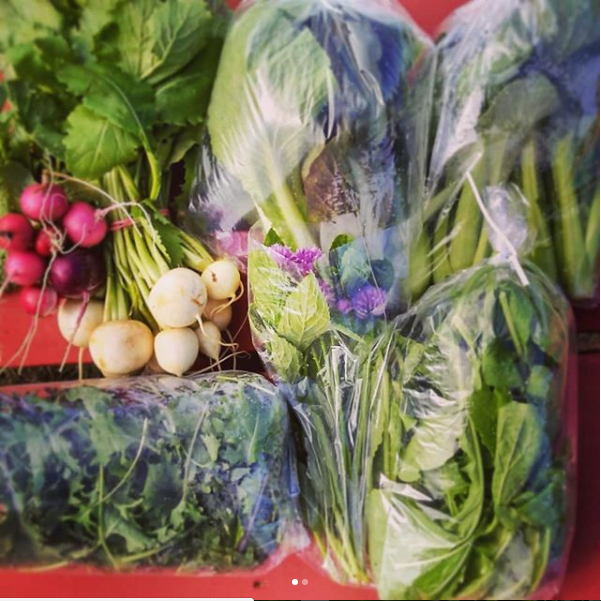 This is a food system where you are directly connected to your farmer and food through the advance purchase of "Seasonal Shares" in return you receive a weekly delivery of harvested produce from our farm. 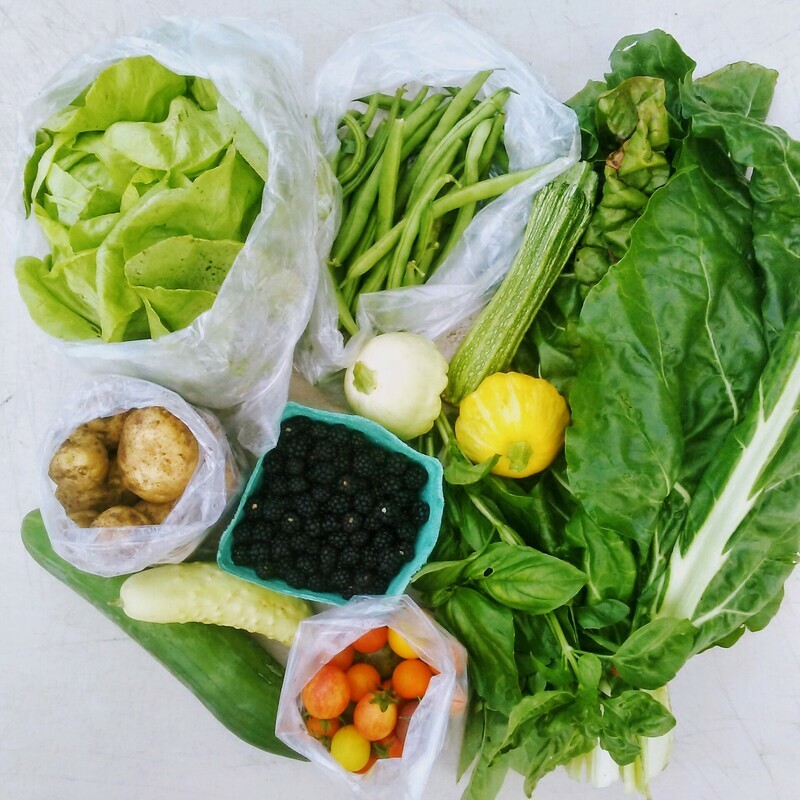 Each week you will receive a "share" of produce that is freshly harvested the day before delivery. Your share will have a mixture of veggies, herbs & fruits depending on what is in season. The Sunday before your delivery you will receive an e-newsletter with a veggie list, veggie info and recipes. We will also send out a monthly indepth e- newsletter of what is happening on the farm. Veggies will be delivered every Wednesday to pick up locations by the WFM2go team. Each share will be labeled with your name and packed in a brown compostable bag. Your share will arrive in a tote alongside other CSAers and WFM2goers. Through your WFM2go account you will also be able to add on MANY other local goodies (+250 products) made by other amazing producers such as flowers, ferments, eggs, meat, grains, bread, tonics, etc! Add on orders need to be places by Monday at 7pm. Your add ons will be delivered side by side with your share inside a blue tote that is to remain at the hub location. By all of us working together we lighten the workload. This also allows our individual farms to be able to specialize and keep quality high. It also enables us to grow our businesses without having to compromising our values. What Can I Expect To See In My Shares? 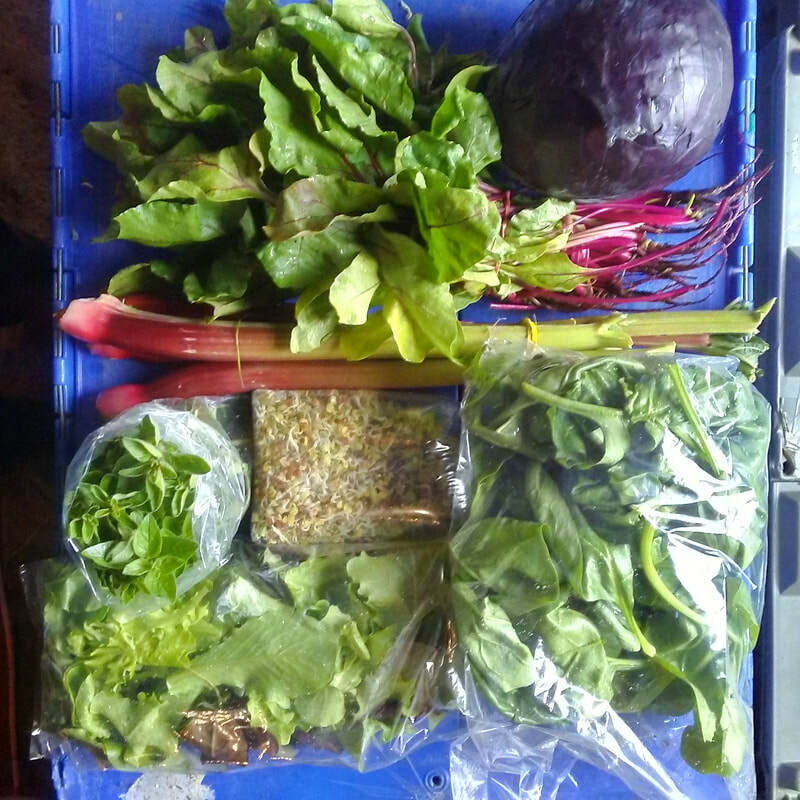 Spring-Spinach, Snow Peas, Salad Mix, Arugula, Sprouts, Spring Turnip, Radish, Cilantro, Mint, Beet Greens, Head Lettuce, Kale, Cherries, Chives Raspberries, and Choi. 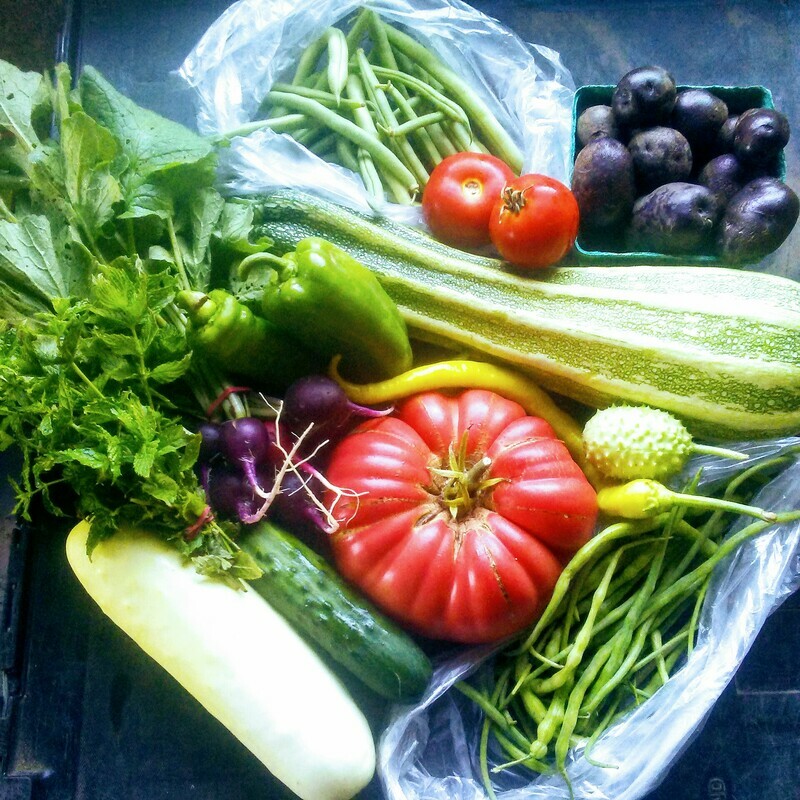 Summer-Carrots, Beans, Broccoli, Tomatoes, Zucchini, New Potatoes, Swiss Chard, Beets, Watermelon, Tomatillo, Honeydew, Cantaloupe, Basil, Blueberries, Dill, Summer Savory and Corn. Choose from +250 different local products to add-on your weekly delivery. From free-range eggs, meat, flowers, breads, ferments, kombucha, etc. You will be able to postpone delivery for 1-2 weeks through your WFM2go account by the Monday before delivery. Your following shares will be doubled accordingly.